Now we know who the Vice Presidential choices are. They are both politically astute choices - appealing in various ways. But this blog is not about punditry (although a bit is unavoidable.) The question is how these VPs will fit into their president's policy process. Biden: Old Hand or Big Mouth? Biden was a solid insider choice for an outsider Presidential candidate. It is a well-established paradigm. Many pundits argued that Obama needed a Cheney - arguably, Obama may have gotten a bit more Cheney then he would have hoped. Cheney was the first elected VP in living memory who had no presidential aspirations. Previous active VPs were careful about managing their profile and appearance to protect their future political prospects. Mondale's influence is famously hard to assess because he was known for not leaving fingerprints on his initiatives. While Cheney was discreet, his unconcern about his public profile may have led him to be out front on some issues where a lower profile would have been wise. Palin: At the Kid's Table? 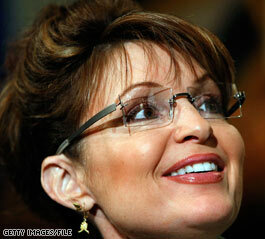 The challenges facing Palin's ability to play a role in the administration are substantial. (See this blog's very first post.) McCain is an insider, so he has a gaggle of long-serving staffers who will tend to protect their turf. The last insider President was Bush 41, and while Quayle (despite his public standing) was knowledgeable and respected in the Senate on national security issues - he exercised minimal influence on the Bush administration. A former CIA director and UN Ambassador, Bush 41 did not really need Quayle's input. And if Bush did need foreign policy advice he could turn to his long-time friends Jim Baker and Brent Scowcroft. The prospect of the VP becoming President is a real one, so it is important that the VP be engaged in the process so that (unlike Harry Truman) they can take the reins of national security relatively smoothly. Palin faces huge challenges of having minimal national security experience and of probably not being taken into the inner circle. One solution would be to allow Palin to chair a component of the National Security Council (Bush 1 was vice chair* of the Crisis Management Committee at Reagan's NSC) in order to embed her in the process. The problem there is that she may not do a capable job. If the President is forced to remove the VP from a position, it will leak out. Perhaps establishing a sort of national security apprenticeship in which the VP plays an active role on this sort of committee and then moves into the chair would be a compromise. It will be a serious issue that the McCain will have to address, both in the campaign and if there is a McCain administration. *The President is always Chair, but doesn't always go to the meetings. In his acceptance speech, Senator Obama promised to go over the budget line by line to weed out federal spending. This is the typical kind of promise Presidential candidates make. But actually doing so would be incredibly irresponsible. The budget is over 1300 pages long. Assume it takes an hour to go over a page (not unrealistic because many of the pages would require extensive background information and meetings) and that the President puts in a 10 hour day (they put in longer days, but he will also need to get his national security briefings and receive foreign dignitaries etc.) Actually going over the budget would take 130 working days, or more than one third of his time in office. Many of these efforts would require lobbying and log-trading on with Congress and many of the victories would be Pyrrhic. In the dangerous world we live in, would saving $1.5 million dollars by scaling down a new tourist center in Akron be worth hours of the President's time? Of course, Obama's promise was just rhetoric. He won't really do this, a President's most valuable resource is his time and, like every President before him, he will pick his fights carefully. Battles over small-scale pork-barrel projects will not be getting priority. In fact, there is already an extensive budget review process, through the all-powerful Office of Management and Budget. In the Bush administration, cabinet members could appeal OMB decisions to the budget review board, chaired by ---- Vice President Cheney. This is the only formal power-base Cheney possessed. Everything else was contingent on his relationship with the President. There are two interesting aspects to this role. First, Cheney got his teeth in the Ford Administration. Vice President Rockefeller hoped to "run" domestic policy and was the Vice Chair (the President was chair) of the Domestic Policy Council. Instead of being a power-base, it was an enormous drain on Rockefeller's energy and it turned Rockefeller into a lightning rod in the policy wars. Cheney no doubt took the lesson that a formal, high-profile VP role had major costs. Instead, Cheney exercised influence through a low-profile, little noticed insider position. It also illustrates the limits of Cheney's influence. Cheney is a small government, fiscal conservative. Big budget expenditures like the drug program are not Cheney initiatives - they came from the President. At the budget review board, Cheney could have substantial influence on the margins - but the broad course (as always) is set by the President. The story of Cheney's impact on the broader course has yet to be told. Watching the Colbert Report, Mike Huckabee described Biden as a vanilla choice for the Vice Presidency. That doesn't seem quite fair. Rum raisin seems a better fit - mostly vanilla - but with a little bit of something else. Something that either makes it much better or much worse, but with a bit of rum (Biden's self deprecating good humor) to push it towards better. He proved he will do one important VP job well. He can give a good speech and the VP spends a lot of time out on the trail giving stump speeches. He tried to show his foreign policy credentials by naming all of the big foreign policy problems we face. He wants to hold Russia accountable - terrific, the mice wanted to bell the cat. And he reiterated his obsession with talking to the Iranians (Clinton vets will remind him what a Sisyphean torment negotiating with the mullahs will be.) But convention speeches are not policy addresses, they are show. Joe Biden gave a good one. Obama picked Biden, a reasonable choice. Obama is an outsider and Biden is an insider, able to give Obama the kind of inside advice about how DC works that he will need should he become president. That Biden has particularly strong credentials on international affairs, an area where Obama's resume is thin. Although Biden is being criticized for being not representing change, he is an "ideas" guy so he could still be positioned to represent new thinking. Unfortunately, ideas are cheap in DC - implementation is what really matters. Is this Biden's strength - I'll leave that to long time Hill watchers to judge. Still, overall, a decent solid and serious pick. Commentators keep noting that Biden takes Amtrak to get to Capitol Hill from his home in Wilmington. This is evidence of his common touch. He has also used his weight on the Hill as an advocate for Amtrak. There are obvious positive spins to this - but there is the negative as well. He pushes for service that costs tax-payer dollars that benefits him. (He lives just far away enough that driving each way would be hassle.) Thanks to Amtrak he doesn't need a second home, but can work during his commute without having to pay for a driver. Good deal! Tomorrow, Obama will announce his Vice Presidential candidate. He knows who it is, but none of the rest of us know anything. The third quality is a bad sign for two possibles, Joe Biden and Jim Webb, both of whom have been known for gaffes. Vice Presidents can never show any deviance from the President’s policy – neither of these gentleman, worthy in many regards, could be guaranteed on that front. It is difficult to say who is fit to be President – we just tend to know it when we see. But for aid in governance, Obama is a classic outsider with limited Washington experience. So first and foremost, he needs someone who knows Washington. Other knowledge deficits are national security and executive experience. Obama may be running on his judgment, but process is about how things actually get done – and the learning curve is steep. Mondale, Gore, Cheney, and to a lesser extent Bush 1 served as senior counselors who could assist the President in getting stuff done. Mondale took over the White House agenda setting process, Cheney ran the Budget Review Committee. Bush 1 ran the NSC’s Crisis Management Committee. This is the stuff that will flummox Obama and he will need a VP who can take on these kinds of nuts and bolts tasks, disagree in private – but remain loyal in public. Arguably, the best relationship between a President and his VP was Clinton-Gore, where, in addition to having strengths in policy areas where Clinton was weak – Gore also brought discipline to the process. Virginia’s Tim Kaine has been much touted, but he has zero Washington or national security experience. None. In fact his resume most closely resembles that of Spiro Agnew (former Baltimore County Executive and 2 years into his first term as Governor of Maryland.) Kaine is undoubtedly a better and smarter man than Agnew, but Agnew was the last outsider VP and – personal weaknesses aside – there were process issues that isolated him as well. Evan Bayh is called the safe choice, but he is also an excellent choice. He (paralleling Al Gore) was the son of a Senator and attended St. Albans. In his own right he was a two term governor and has been in the Senate for 10 years – where he as served on Armed Forces and Select Intelligence. Resume-wise he is exactly the kind of person Obama needs. Finally, Bayh is low-key and unlikely to overshadow Obama but likely to make a good impression. Bayh’s background shows him as a person with good qualifications for the Presidency and the right skills to help govern. Bayh would highlight Obama’s good judgment, and further the campaign’s youthful appearance. At the same time, VP would serve Bayh well. Bayh is an oddly unforceful speaker, but Veeps spend a lot of time on the campaign trail (party-building) and Bayh would get better in this role very quickly. If Biden is a bit too much and Kaine is not quite enough - Bayh is just right.